Buy a iRobot Robot. Order your iRobot online now! IRobot is one of the largest companies for the production and development of robots for private use, the so-called household robots. The iRobot Corporation was founded in 1990 by Colin Angle, Rodney Brooks and Helen Greiner. The idea arose from the previous work of the founders at the Massachusetts Institute of Technology. IRobot has its headquarters in Bedford, USA. The company has been listed on the stock exchange since 2003 and is listed on the NASDAQ trading platform. Well known in Germany is iRobot for its vacuum cleaner robot Roomba and the wiper robot Scooba. Since 2013 the Brava 320 & 380 belongs to the iRobot family. The Braava was originally developed by Evolution Robotics. Other household robots are the rooftop robot Looj 330 and the pool robot Mirra. Next year, the new Roomba 800 series will be released in Germany. At the moment it is known that there will be a Roomba 880 with rubber rollers instead of the usual brushes. With this new series iRobot is still trying to maintain its position in the household robotic market. IRobot is the market leader in vacuum robots and wiping robots worldwide. The company iRobot was founded in 1990 in Massachusetts, USA. Only a few years after the founding, the technologies were used for the development and design of household robots. The iRobot Roomba was created. It is still today the most sold vacuum robot worldwide and technically absolutely mature. Later the Scooba wiper was added. In 2013 the product range around the iRobot Braava 320 and Braava 380 was expanded by the acquisition of the US competitor Evolution Robotics. The rooftop robot iRobot Looj 330 completes the product portfolio. IRobot is still one of the most innovative companies in the world and is constantly developing its household robots. Every year, many millions of euros are invested in research and development and technologies from the other sectors are also taken over. Which iRobot models are available on the German market? The product range is very wide and deep, especially with the iRobot suction robots. The Roomba 620 and the Roomba 650 are available there for the higher demands. The Roomba 780 and the latest iRobot vacuum robot Roomba 790 have been developed for the higher demands. For animal owners a special technology was developed, the Roomba 775 Pet Has. With the wiper robots you have the choice between the large Scooba 390 or the small Scooba 230. Since 2013, iRobot also offers the Braava 320 and the Braava 380. All iRobot household robots are highly sophisticated, technically state-of-the-art and have many important sensors. They return automatically to the charging station and always ensure the best vacuum results. Can I buy iRobot household robots at HaushaltsRobotic? At BudgetRobotic you can purchase the iRobot Roomba, Scooba, Braava and Looj. We also offer the right accessories and spare parts for all robots. Our service staff are experts for suction robots and can therefore advise you independently and excellently. We are at your disposal for any questions. You can reach us by phone or by e-mail. Together we find the right model for your apartment. Give us a call! How do the robots of iRobot work? 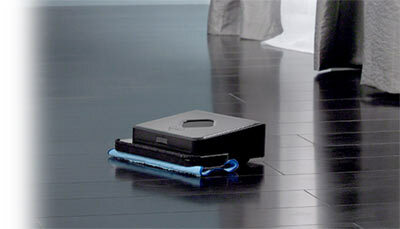 The iRobot cleaning heads adapt to the respective surfaces and ensure a thorough cleaning even with different soils. 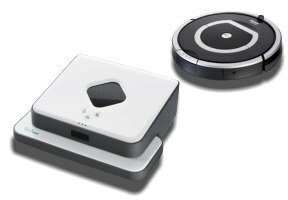 HRobotic presents the market leader for vacuum robots, iRobot! The American company was founded in Massachusetts in 1990. 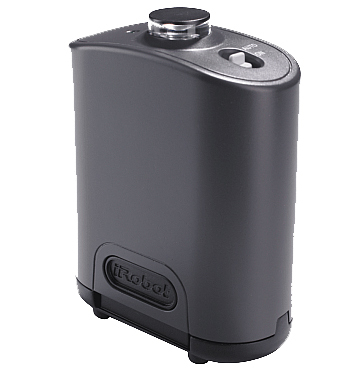 In 2013 the purchase of the robot robot Braava was added to the product range. For the roof gutter, iRobot offers the Looj 330 on the German market. In the pool area iRobot is represented with the pool robot Mirra. What makes iRobot so successful within the household robot market? IRobot is innovative and a technology pioneer. Especially with the vacuum robot Roomba, they were already present in the market in 2002. IRobot currently offers the most advanced suction robots with many sensors. But also the service is outstanding. In every country that iRobot supplies, there is a service partner who cares about complaints and questions. This allows each customer to be catered for their specific needs. Short decision-making processes and unbureaucratic processing, over a short distance are given. What vacuum models are available from iRobot? Until recently, the iRobot 500 series was still the latest model range. However, this is more and more replaced by the new 600 series with the currently smallest iRobot vacuum robot the Roomba 620. These are followed by the Roomba 630, the Roomba 650 and the largest suction robot model of the 600 series of the Roomba 660. The most modern series of suction robots from iRobot is The Roomba 700 series. 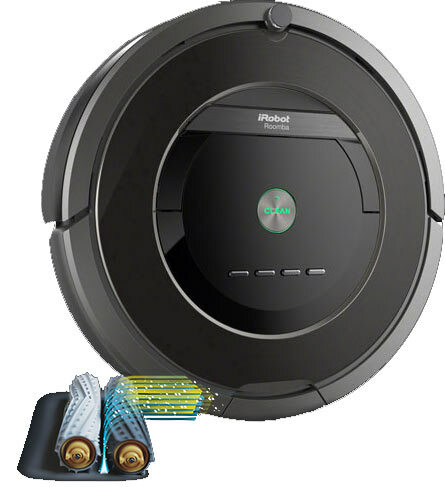 There is the most sold device of the Roomba 780, it is the new flagship of iRobot. The largest and most expensive iRobot vacuum robot of the Roomba 790 as well as the Roomba 760 and Roomba 770. Currently there are still sizes like the Roomba 765 and Roomba 775 especially for animals. The Roomba 585 and Roomba 565 are only available from the old Roomba 500 series. What types of wiping robots are available from iRobot? IRobot is not only a market leader in the field of vacuum robots, but also in floor cleaning robots and wet wiping robots. 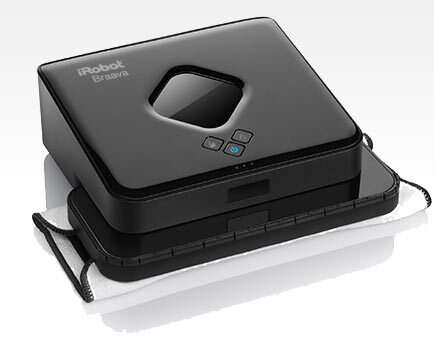 iRobot offers the Scooba 390 for large dwellings with two special water tanks, for clean and dirty water. The small Scooba for small bathrooms and since 2013 the iRobot Braava 320 and the iRobot Braava 380. Both are excellent wiping robots for wet wiping. The Braava 380 is equipped with a water tank. What models of rainbow robots are available from iRobot? At the moment, there is only one model on the market and this is the iRobot Looj 330 rooftop robot. All other models do not work in Germany or Europe, because the Americans have square and no round gutters. The Looj 330 now offers the possibility to use in Round gutters. Which pool robot models are there from iRobot? IRobot currently only has the Mirra pool robot, but it is not officially distributed in Germany. But iRobot has a big mission, they wanted to revolutionize the civilian use of robots and make everyday life easier for people. In 2002, iRobot launched the Roomba, the world's first vacuum cleaner robot. Until then, there were already five years of hard development behind iRobot. Over 5 million copies were sold by the household robot Roomba. I need the serial number of my roomba, where can I find this? The serial number of your Roomba can be found on the lower side of the vacuum robot. Just before the dust container on the right is a white sticker. There you will find a number code which begins with xyz. This is the serial number. How do I change the Roomba side brush? For this purpose, they need a conventional cross-slot screwdriver. The side brush is located at the bottom of Roomba on the left. Loosen the screw and pull the side brush. Now push the new side brush into the raised area and screw it back with the screw. WARNING: Remove all hairs that are caught under the side brush. My side brush does not turn. What is the reason? Most likely the side brush of the Roomba is too dirty with hair. Follow the instructions from: How do I change the Roomba side brush? My roomba does not find its charging station. Why is this? Check that the charging station is connected to a working socket. Check whether the LED on the charging station lights up in approx. 4 seconds. Check that there are no Virtual Walls, Virtual Wall Lighthouses or other Home Bases in the immediate vicinity of 2 to 2.5 meters away. These could interfere with the infrared signal. Move the charging station to a different location as there may be interference. Make sure that the station has to stand evenly, to the left and right is 0.5 meters each and 1.5 meters to the front. The time programming of my Roomba has disappeared, why? If your Roomba is not connected to the power for an extended period of time, the battery will discharge. If this is very deeply discharged, the clock and all programming will be reset. As a result, the timer programming also disappears. My Roomba shows loading error 5 (ERR5). How do I proceed? This usually indicates a problem with the battery. Open the battery of the Roomba on the lower side of the suction robot and remove the battery. Clean all contacts on the battery and the device itself. Reinsert the battery and try to recharge Roomba. Mein Roomba bleibt ohne Fehlermeldung stehen und ist aus gegangen. Ist er defekt? This also indicates at the first moment a problem with the power supply or the battery. Either the contacts of the battery are dirty, there is a wobble contact, or a defective battery. Open the battery cover at the bottom of the vacuum robot and remove the battery. Clean the contacts and look for possible wobble contacts. Reinsert the battery and restart the Roomba. If the error persists, contact the service. My roomba reports error 9, beeps 9x or gives an Oh-Oh. What does that mean? Your Roomba has a problem with its impact sensor or bumper. This is located in the front area of the vacuum robot and when it is moving against a piece of furniture or other objects. See if this bumper is jammed. Press against it until it is released and can move freely backwards. Does Roomba have a special HEPA filter for allergy sufferers? The Roomba 700 series and 800 series have a HEPA filter. The older series such as 400, 500 and 600 have no such filter included. The remote control of my Roomba vacuum robot no longer works. What to do? Check if the batteries are empty. If necessary, insert 2 new AA batteries. You can see if the batteries work, if you press a button on the remote control, the LED lights green. Point the remote directly at the Roomba, making sure there are no objects in the way. Maybe something interferes with the signal. Try it in a room next door. If in the same room a Virtual Wall or the Homebase are, these can adversely affect the signal. However, other electrical devices can also have an influence on the infrared signal. I need the manual for Roomba as a PDF. Can I download it here? You can download all user manuals for iRobot Roomba free of charge. Please select your model series. How do I know if the battery of my Roomba is fully charged? There is a battery control light on the roomba. If it is green, Roomba's battery is charged. In the 800 and 700 series, this symbol looks like a battery. In the 500 and 600 series it is a green button, which must be green and the 400 series the power light. How do I increase the life of my vacuum cleaner Roomba battery? If you regularly use the Roomba, the rechargeable battery creates more charging cycles since, due to the permanent operation, it must always have a high density. After the use of the Roomba, this must always afterward in the charging station. Do not allow him to spend hours or even days around the house. Otherwise, the Roomba could deepen deep-discharge. Clean Roomba regularly. If this is heavily polluted, the engine needs more power to drive it. This requires more energy and the battery is heavier. The Roomba charging station should be located in a cool and dry place. If you do not use Roomba for an extended period of time, remove the battery. Even when the Roomba is completely turned off, it always draws a minimum voltage from the battery so that it can de-energize. ATTENTION: If the Roomba was not in the charging station for an extended period of time and the battery has already discharged, the Roomba automatically starts a separate charging process. This takes 16 hours and should bring the battery back to its full energy density. This is detected when the display quickly flashes yellow. 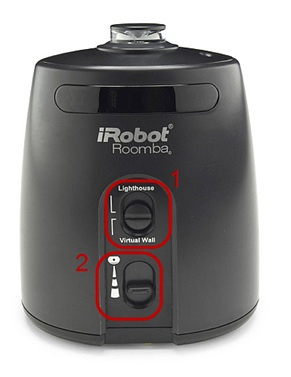 Overview, what the individual colors, the battery indicator with the iRobot Roomba mean. What is the difference between Virtual Wall and Virtual Wall Lighthouse? The normal virtual wall (left picture) serves as a barrier or barrier. Where the Virtual Wall of the Roomba stands, it blocks the possibility for this to drive into the area behind. The Virtual Wall Lighthouse (right picture) has the same function as the Virtual Wall. In addition, it acts as an orientation aid. She shows the roomba how he can travel from room to room and this finds with her also faster back to the Ladestation. Note: Your Roomba must be compatible with Virtual Wall Lighthouse. Automatic return to the charging station. The roomba knows where his charging station is located and goes independently to this back and recharges itself.